If you spend the majority of your time pondering hot topics in the streaming media space, you’re not alone. Our team of image scientists and video encoding engineers are equally passionate about all things video related. Which means, not surprisingly, we spend our days discussing everything from video encoding, playback, workflow architecture, codecs, compression techniques, and more. 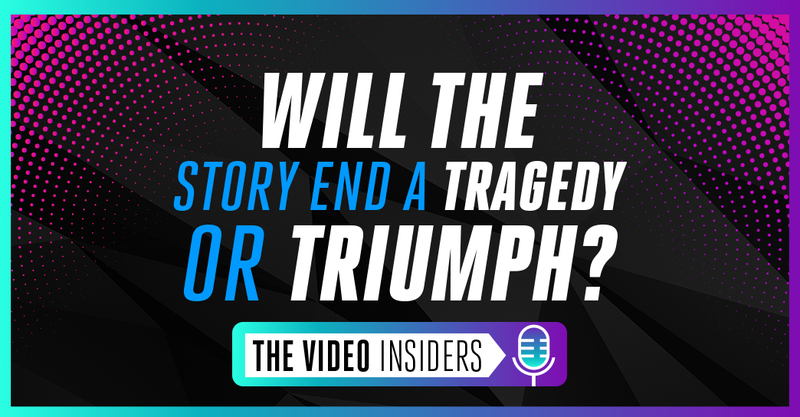 But as we looked around the industry for sources of information on these topics we noticed a dearth of information, which is why we thought to ourselves, “let’s do something about this,” and launched The Video Insiders podcast. Hosted by our CTO Dror Gill and me, Mark Donnigan, the show takes on a refreshingly non-partisan tone as the purpose is to equip the industry with information that is free of bias, spin, and agenda. Join us as we dive into today’s top of mind discussions: compression, codecs, encoding, transcoding, and video workflows. We cover it all, and we do hope that you find the information valuable as you contribute to the industry in your role, whether it be engineering, operations, or business. Tune in to Episode 01: Will the AV1/HEVC Story End a Tragedy or Triumph? hor watch below. Mark Donnigan: 00:15 Hi everyone, my name is Mark Donnigan and I am super excited to be opening this first episode of The Video Insiders. But before I say anything more I want to introduce you to my esteemed co-host, Dror Gill. Welcome Dror. Dror Gill:	00:31	Thank you Mark. You know if you could do some e-motion estimation on me, you would also find out that I’m pretty excited to be opening this podcast and I think it’s gonna be awesome. Mark maybe we should tell everyone what they’re getting themselves into. Mark Donnigan:	00:45	So, we are the Video Insiders and in every episode we will bring the latest inside information about what’s happening in the video technology industry from codecs both past, present and maybe even some not invented yet, you know. I don’t know, maybe we’ll invent one. What do you think Dror? Dror Gill:	01:04	Yeah, yeah, maybe. Mark Donnigan:	01:05	And obviously we’ll cover video in coding, trans coding and you know I’m a little bit more of a business guy. You’re a serious technologist and our listeners will get to know you but at the end of the day business drives this. So, we’ll cover business and I can’t think of too much that’s really off limits, right? Dror Gill:	01:27	No, no, we’re gonna talk about everything, everything related to video. But first Mark I have to tell the listeners a small secret about you. Mark Donnigan:	01:36	Oh no. Dror Gill:	01:37	Those who know you best probably have been privileged to pound the keyboard. Mark Donnigan:	01:43	Pound the keyboard, hmm, well you know when I, you know my new MacBook, you know it is pretty noisy. Man, what’s up with that keyboard, wow. Dror Gill:	01:55	Not that kind of keyboard, I just happened to know that you’ve studied some classical piano performance and jazz in college, right? Mark Donnigan:	02:03	Oo, this is true. Not too many people know that about me. That’s true, that is true. But it was a long time ago. But while we’re on the subject of music, you know, discussing beta release schedules kinda has a dual meaning for you, doesn’t it Dror? Dror Gill:	02:21	Oh, yeah, yeah. You got me there. So, yeah, Beta is the name of my rock band. I’m a land singer of a rock band called Beta. Mark Donnigan:	02:30	That’s super cool. Dror Gill:	02:31	Yeah, we do some gigs, we’ve recorded a few tracks. So, when you discuss a beta schedule with me that could be just our tour schedule and not our milestones. Mark Donnigan:	02:42	Well, there you have it. You know, look if we do our jobs this podcast just may rock our listeners video world, right? Dror Gill: 02:50 Yeah, yeah, for sure. And if not, at least it will be the number one destination for their latest news and analysis about video compression, protection, monetization, applications, you know we’re gonna talk about all those buzzy words. Buzz words such as HDR, UHD, HEVC, AV1. Mark Donnigan:	03:13	That’s pretty buzzy. That’s pretty buzzy. Well, hey HEVC and AV1, I’m glad you brought those codecs up, because some may say the topic is really been run into the ground. So, what do you think Dror? Dror Gill:	03:26	I think it’s still a great topic, you know, because it has all the elements of a good story. It’s like a true hero’s journey. You know, you might say it has Hollywood glamour, has some tragedy, has its ups and downs and finally does have a happy ending. Mark Donnigan:	03:42	Well, happy endings are good, so to kick this off for our listeners who don’t have a deep technical background. What is HEVC? Dror Gill:	03:51	HEVC is the latest video standard. It was developed by the MPEG committee. MPEG is short for Motion Pictures Experts Group. Notice the motion pictures, yes they don’t call it video. We’re still in like the old days of when cinema just started. It’s not a video it’s just a bunch of moving pictures. Mark Donnigan:	04:12	That’s funny isn’t it? Dror Gill:	04:13	One after the other in a series so that creates an illusion of movements. Mark Donnigan:	04:17	It’s moving pictures. Dror Gill:	04:19	So, MPEG developed a lot of video standards. All the MPEG standards, there was MPEG 1, MPEG 2, MPEG 4 and then MPEG 4 AVC. Which some people know by the name H.264. And finally MPEG HEVC, which some people call H.265. But don’t do that Mark. Don’t call it H.265 because Leonardo might ban you. Mark Donnigan:	04:43	Now, wait a second, how will Leonardo DiCaprio ban me? Dror Gill:	04:46	Oh no, not Leonardo DiCaprio, Mark. You’re taking the Hollywood reference a bit too far. I’m talking about Leonardo Chiariglione. He’s been the founder and chairman of the MPEG committee for the past 30 years. Mark Donnigan:	04:59	Ah, that Leonardo. Dror Gill:	05:03	You know, many people call him the father of MPEG because you know he founded the committee and he’s been leading it. So, I heard a rumor that if he used the term H.265 instead of HEVC than he might ban you from the MPEG mail reflectors forever. So, you know, be careful. Mark Donnigan:	05:19	Well, I mean pretty successful stuff that the MPEG committee has developed. MPEG 2, you know it’s used in all digital cable, satellite, terrestrial broadcast, DVD. MPEG 4, Blu-ray discs. Everything on the internet is streamed with MPEG 4. Dror Gill:	05:39	Yeah with MPEG 4 AVC, AVC. Mark Donnigan:	05:42	Yeah, AVC. That’s right. Thanks for correcting me there. Mark Donnigan:	05:47	So, I heard that MPEG even won an Emmy award I think two times right? Dror Gill:	05:52	Yeah, yeah, definitely. Mark Donnigan:	05:53	Now, can you imagine the Leonardo that I’m thinking of and all the engineering geeks from MPEG standing there on the same stage as the other Leonardo from the MPEG committee. That’s really amazing. That’s pretty cool actually. Dror Gill:	06:09	Yeah, yeah it is. You know, what’s even more amazing? Every generation of the standard they essentially double the compression efficiency. So, for example with HEVC you can get the same quality as H.264 but at half the bit rate. Now, I’m not saying you can do this all the time and not for every content and it’s not true for every resolution. I have to be very careful here cause you know, some people in the industry spread information that is not 100 percent accurate. Dror Gill:	06:39	And sometimes it is possible that we will discuss such occasions on a podcast. But I’d like to be on the safe side so let’s say between 40 and 50 percent, depending on the resolution. That’s the improvement in compression efficiency would get with HEVC. Mark Donnigan:	06:57	Sure, which is really great and pretty amazing. So, why isn’t everyone using HEVC instead of H.264? I mean, with video occupying, I mean the studies keep on, this number goes up seems like by the month by 70 percent the internet is video traffic. Netflix is like 15 percent of bandwidth consumed at peak viewing time. That’s staggering if you think about it. I would think everyone would just want to switch to HEVC and either enjoy the savings or be able to double their capacity. What’s going on there? Dror Gill:	07:31	Yeah, yeah, that would have been really what you would expect with HEVC being much more efficient than H.264 but this is really where the tragedy part of our story comes in. There’s a lot of sophisticated algorithms which actually enable this great compression efficiency and many companies would jointly created the HEVC standard. They obviously have patents on all of these technologies that they developed. So, with H.264, the situation was simple. There were companies that developed algorithms, they had patents but there was a single patent pool that was organized by a company called MPEG LA. And you could just license all the patents very easily in this one stop shop. But with HEVC the problem was that the patent holders joined three different pool and some of them didn’t join any pools. So, you act of this unreasonable licensing terms which were published by one of the patent pools initially and their half of the industry was in complete chaos regarding HEVC licensing. Mark Donnigan:	08:40	Wow, sounds pretty bad. Leonard Chiariglione wrote a pretty famous blog post called, ‘The Crisis, the Causes and it’s Solutions’, if I remember correctly. Dror Gill:	08:55	Yes. It was very sad and he said that from his point of view the MPEG way has reached an end. They developed this great technology and then nobody uses them because of licensing issues. So, that was the peak of the tragedy but luckily for us and I think for the whole industry, finally, the patent holders came to their senses. And now everything is much more clear. I mean the two major patent’s pools which are MPEG LA and HEVC Advance, both of them are not charging any royalties for content. Mark Donnigan:	09:29	That’s amazing. Dror Gill:	09:30	Yeah, yeah. That’s really good news for all the broadcasters. Mark Donnigan:	09:33	Great news. Yeah. Dror Gill:	09:34	And content providers around the industry and the third one Velos Media. They haven’t officially announced their licensing terms but everybody’s expecting them also to be reasonable and I’ve heard some things off the record that they’re also not going to charge for content. I mean, they don’t want to cut the branch they’re sitting on. If they’re unreasonable then nobody will license it and they get no money. So, I think basically where we are today you can say that HEVC patent world, these are mostly paid by the vendor of devices such as mobile phones and TVs. All those companies will put chips that support HEVC decoding and the devices and I understand the, Mark, that many of them are already supporting HEVC, right? A lot of devices out there. Mark Donnigan:	10:18	You know earlier this year Beamr actually sponsored an industry survey which Tim Siglin a contributor to Streaming Media helped us with and also Streaming Media promoted it and helped put it together. The findings were really positive. This was completely a non partisan, fair and balanced survey. 66 percent of those that responded of which was a very high percentage of engineers by the way, more than 400. So, these are industry professionals – reported that HEVC was already in production. So, the reality is that though in some circles there still maybe a little bit of FUD. You know, that’s fear, uncertainty and doubt. 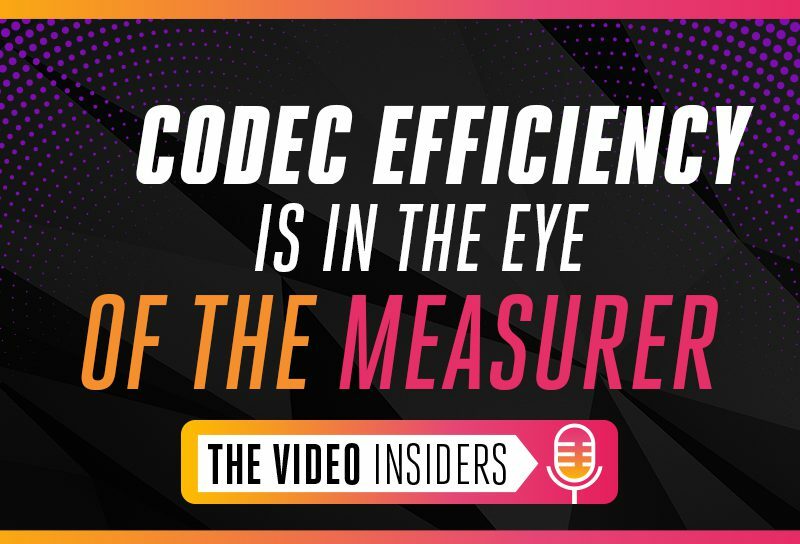 The fact is is that more than half the industry has HEVC encoding pipelines running or they’re in the implementation stage. These things don’t happen overnight, so in some cases maybe they’re not encoding HEVC content yet but they will be. It’s a foregone conclusion. Mark Donnigan:	11:33	77 percent so more than three out of four said HEVC was a very viable replacement for H.264. That’s obviously good news but if we’re making files that can’t be played then I suppose you could file this under the fake news category. Dror Gill:	11:49	Yeah, if you encode the files somebody has to play them. Mark Donnigan:	11:53	Exactly. And we’re gonna get to that when we talk about AV1, but when we look at the situation for device support it’s a little bit hard to get the exact numbers but industry seems to be kinda gathering around two billion devices is where most people, you know nod their head and say yes, we believe that number. That’s two billion today that support HEVC in hardware. So, if we think about, first of all it’s a massive number right? But you think about iPhones. Everything from the 6S forward supports HEVC and some markets iPhone penetration is way over 50 percent. And then when you factor in Samsung like the S8, S9, Note 8, Note 9, Galaxy Tab S3. I mean phones from LG, phones from Sony. You look at Macs, you look at PCs especially if they have the Intel Skylake or the Kaby Lake chips. Every 4K TV sold today, I mean I could go on and on. Mark Donnigan:	12:54	Roku boxes, the new Apple TV, that is the Apple TV 4K. Chromecast even, Amazon Fire TV. So, all of those support HEVC. We heard from a very well placed industry insider that one MSO recently discovered of their users which number tens of millions, (that) more than 50 percent of their customers had at least one device in the home that supported HEVC. Which is very, encouraging. Dror Gill:	13:32	Yeah, it’s very encouraging. It means that HEVC support is out there. I mean two billion devices, that’s a really large number. So, if you look at it, the situation with HEVC I would say it’s pretty clear. I mean, it’s half the bit rate of H.264 AVC. Royalty issues have mostly been solved, a few billion devices supported in hardware. So, there it is Mark. I think that’s the happy ending I was looking for. So, okay, that’s HEVC, where are we with AV1? Mark Donnigan:	14:04	That’s a good question. You know, it’s unclear at the moment. Look, we are definitely fair and balanced here on the Video Insiders so we don’t present things from an agenda. First of all AV1’s open source, right? It is a supposedly a royalty free codec. It’s been developed by a extremely strong group of companies. Companies that if anybody can pull this off it’s Google, it’s Netflix, it’s Facebook, it’s Intel, it’s Microsoft, it’s Apple and there are others. These people are our friends and they’re good, they can build a codec. They could do this. They set out to develop the AV1 codec really in response to the royalty issue. You know, you might get different responses, I haven’t really gone around and asked privately any of these individual companies. But I’m guessing that off the record most would say yeah, if HEVC Advance had been rational, the Alliance for Open Media wouldn’t have been needed and AV1 wouldn’t exist and things would be more clear. Dror Gill:	15:11	Right, and I understand they want to develop a royalty free codec but I think I heard you say “supposedly royalty free.” Cause I thought AV1 was royalty free, I mean look what it says here. I’m on the AOM website, I’m reading from the website, it says, “Collaborative effort to offer open royalty free and interoperable solutions for the next generation of media delivery.” So, it says royalty free, doesn’t it? I mean, can it be more clearer than that? Mark Donnigan:	15:36	You can challenge me on that but it’s not that simple. Here’s the deal, the members of the Alliance for Open Media all agreed to contribute their own IP to the AV1 standard and not charge royalties for it, but it’s possible. Again, I’m saying “possible”, I’m not a lawyer, we’re not giving any legal advice so I wanna be careful, but it is possible that other parties who are not members of the Alliance for Open Media could have IP claims or at least could attempt to assert IP claims and to charge royalties on the codec. Now, alliance for open media, AOM, has set up a fund to indemnify licensees, or so I’ve heard. At the end of the day there’s just a lot of questions that don’t have answers. It’s one thing when it’s, you know, engineers sitting around at an industry conference or on a panel having a debate and discussion. It’s a whole different thing when a fortune 50 or a fortune 25 media company who could be facing hundreds of millions if not billions of dollars of fines or levees or whatever. You just can’t sort of sweep this stuff under the rug. Mark Donnigan:	16:56	I think unfortunately that’s kinda what is happening a little bit in my opinion. 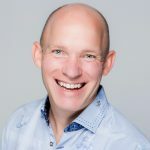 Dror Gill:	17:03	At the end of the day I think we need to encourage our listeners to do their own due diligence, you know, because in some industry conferences you can be led to believe the situation is very secure but really nobody is indemnifying you here. So, you really need to be careful. Anyway, on the device side Mark, how many devices support AV1 in hardware? Mark Donnigan:	17:24	Yeah, so I’m glad you asked, and you know this is what my background is in, consumer electronics. I have a lot of experience there. We get into this situation where it’s easy to sit around and talk about creating files with these new exciting codecs but people kind of forget that VLC is not a viable solution to play back. I’ve been doing some research though and I actually was able to connect via email and in some cases have voice conversations with the SOC vendors, that is the system-on-the-chip vendors who are the ones at the end of the day that have to be convinced to integrate AV1 decode into their silicon. Mark Donnigan:	18:25	But you know it’s these SOC vendors that at the end of the day is where I’m gonna get the real information. I heard what I anticipated to hear that obviously support today is zero. I heard varying degrees of responses such as we’re thinking about it. It’s getting onto the road map to a slightly more optimistic where some people said in 24 months we’ll have it, maybe sooner. But you should anticipate two years. And then on the other side I got the usual hey look, you know, when there’s a business case that is when I can’t sell a chip because it doesn’t have AV1, that’s when we’ll support it. You know the situation is really this, I am very confident again because the companies behind AV1 that somewhere in 2020 – It’s just not even possible to complete the engineering cycles, the fab cycles for the silicon any sooner than really the end of 2020. So, we’re really talking 24 months, we’re recording this podcast on the last day of October, October 31st, 2018. I anticipate that Christmas season 2020 there will be an (AV1) device. Mark Donnigan:	19:44	Will it be a Roku box? Will it be a TV? Will it be a game console? Or even just some new product all together, I don’t know. Dror Gill:	19:53	Maybe an Android phone? Mark Donnigan:	19:54	Maybe an Android phone, exactly. There will be an AV1 device and there’s no doubt that certain folks that are incented for AV1 to succeed will write articles saying that the world is about to flip. At the end of the day one device, a device does not build an ecosystem. It takes two billion devices that are in real consumer’s hands. Mark Donnigan:	20:20	You know, that somebody doesn’t even have to download an app or install something, they just turn it on and it just works. And that we are years and years and years away. Dror Gill:	20:33	Yeah, I think I agree with you. It will take time until the chips will come out and then tested and devices will come out. So, I’m very bullish about HEVC, I think the message for the industry now is very clear. HEVC is happening today and it’s here to stay. Mark Donnigan:	21:06	Well let’s bring this to a close. It’s been an awesome discussion about how to compare HEVC and AV1. Dror Gill:	21:13	Well, comparing codecs that’s a pretty big question and you never get the same answer. It really depends on who you ask so it’s a really interesting topic, but it seems like our time is up so how about we discuss that in our next episode? Mark Donnigan:	21:29	I want to thank everyone for listening to The Video Insiders’ podcast. This is a production of Beamr Imaging Limited. Please subscribe on iTunes and we will be expanding to other platforms shortly. 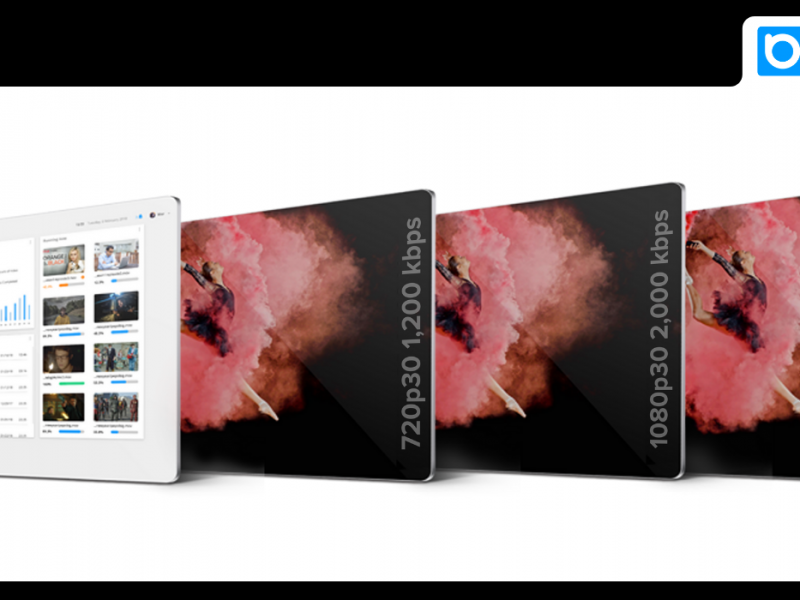 If you’d like to try out Beamr codecs in your lab or production environment we’re giving away up to 100 hours of HEVC and H.264 encoding every month. Go to https://beamr.com/free to get started immediately. If you would like to join the discussion as a guest, send an email to thevideoinsiders@beamr.com with a suggested topic that you would like to share.